Georgia C. Papaefthymiou is a professor of physics at Villanova University in Pennsylvania, USA, and a visiting research professor at the National Center for Scientific Research (NCSR) Demokritos in Athens, Greece. She is the author or coauthor of more than 150 publications that include peer-reviewed articles, book chapters, reviews, conference proceedings, and opinion pieces. 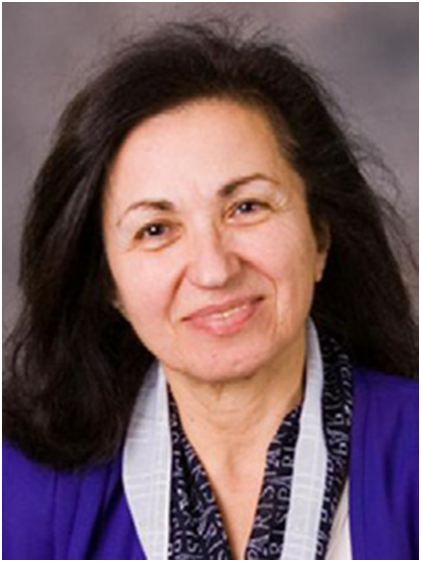 She is on the board of editors of the Journal of Materials, peer reviewer for multiple physics, chemistry, and materials journals, and grand reviewer for the National Science Foundation and the Department of Energy of the United States and for Aristeia of Greece. Her research interest are in condensed matter physic encompassing areas in: (1) Cluster science and the transition from molecular to bulk behaviour with increasing cluster size; (2) Nano scale magnetism, fundamental studies and applications to nanotechnology and Nano medicine; (3) Multiferroic materials; (4) Iron containing proteins. She uses Mossbauer spectroscopy to probe the electronic and magnetic structure of molecules and solid-state materials (amorphous or crystalline) in combination with SQUID (Superconducting Quantum Interference Device) magnetometry . She is the author or Co-author of over 150 publications that include peer reviewed articles, book chapters, conference proceedings and opinion pieces.